if someone tweets without followers, does anyone hear her tweets? That was my very first tweet on Twitter. No one heard it because I had no followers. 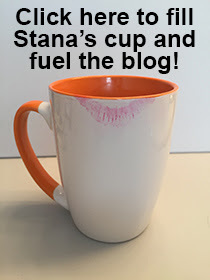 So please follow me by clicking on the “Follow @Stana_Femulate” button at the top of the left sidebar. Twitter is kinda built on that..
TWEET, TWEET. I'm following you.